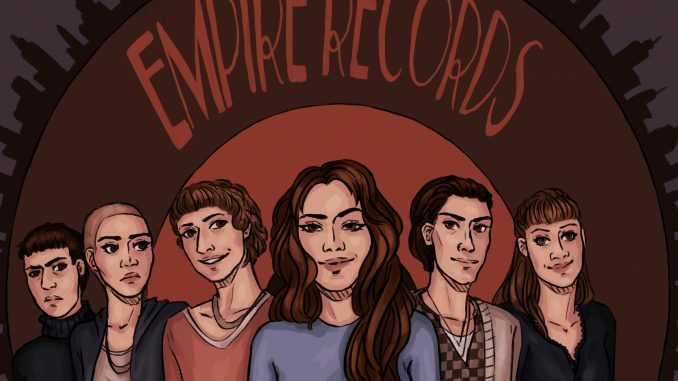 “Empire Records” is what the ‘90s would be if the decade was distilled into a single film. That is not to say “Empire Records” is exceptional, because it isn’t by any measurement, but neither were the ‘90s. Instead, “Empire Records” is a goofy, angsty, over-the-top ride through a day in the goofiest, angstiest, most over-the-top decade. Looking at it that way, the film works. The loose plot of the 1995 film that currently resides on Netflix follows a group of teenagers — typical misfits in a post-“Breakfast Club” world — attempting to save the record store they all work at from being purchased by a chain called Music Town. But the film isn’t exactly focused on the story. Instead, it throws a wide variety of shenanigans at the viewer. The à-la-carte plot maintains interest with all the nonsense. It’s when the film starts to get serious — thankfully not an often occurrence — when the bombastic nature, the ‘90s-ness of the film, subsides and it becomes a run-of-the-mill coming-of-age story. Luckily, the films leans pretty hard into its nonsense side. From a delightfully overdramatic shoplifter chase scene to an impromptu dance party, “Empire Records” knows what it is — a ‘90s-themed house party. Packed to the brim with awful fashion choices, bad haircuts and great music, the film keeps you engaged. Speaking of great music, the soundtrack is the lifeblood of the film. Tracks by the likes of Dire Straits and AC/DC lead the way for a diverse set of songs which provide the film with an energy to match its nature. Inarguably, the music serves as the only truly great thing about the film. Not great as in “so bad it’s good” like the rest of the film — truly great. If you came to “Empire Records” in search of good acting, you’ll leave empty handed, with a young Renée Zellweger as the lone exception. But, if you came for the best bad acting has to offer, you’d find it in spades. The standout in that regard is Ethan Embry, who portrays a stoner named Mark. Embry seemingly did not realize he was in a film, and instead did his best impression of Sonny the Cuckoo Bird. The hilarious over-acting is assisted by frequent looks directly into camera, often coinciding with delightfully absurd camera zooms. Rest assured, director Allan Moyle definitely knew what type of film he was making. 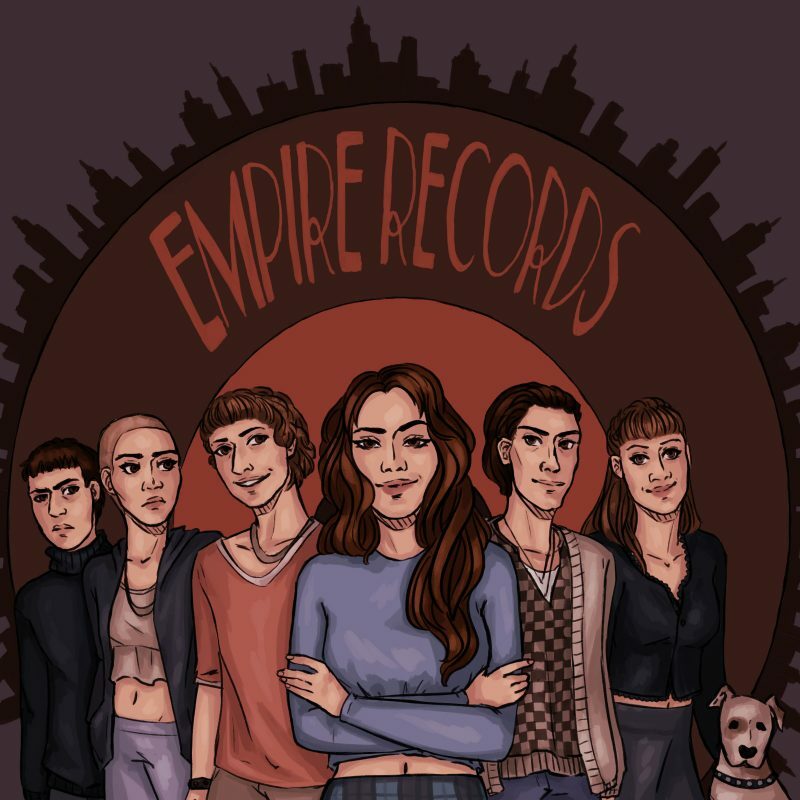 “Empire Records” did not win any awards when it hit theaters in 1995, nor did it deserve any. But when you can’t sleep on a Thursday night, have had a bad week or just need to laugh, you can do far worse than streaming “Empire Records.” It is nothing more than an over-the-top, not particularly good, absurd 90-minute misadventure — and there’s value in that.